Hanukkah, the Jewish Festival of Lights starts this Tuesday December 20 at sundown. 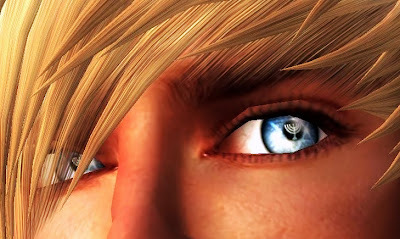 Ryce Skytower is modeling these cool eyes from ~*By Snow*~ for the holiday. If you look close you can see the Star of David and Menorah candelabra as glittery lights in the eyes. The also come in cool shades of gold and silver. Snow Frostwych sells these eyes and has other cool eyes available at a low cost on SL exchange.